Home feels like the safest place in the world for most of us – a comfy, cozy retreat where we can relax, spend time with loved ones and and generally enjoy the free time that we have. However, preparing your home for baby is an important step you can take to ensure it’s also not a source of potential danger for newborns and crawling infants. 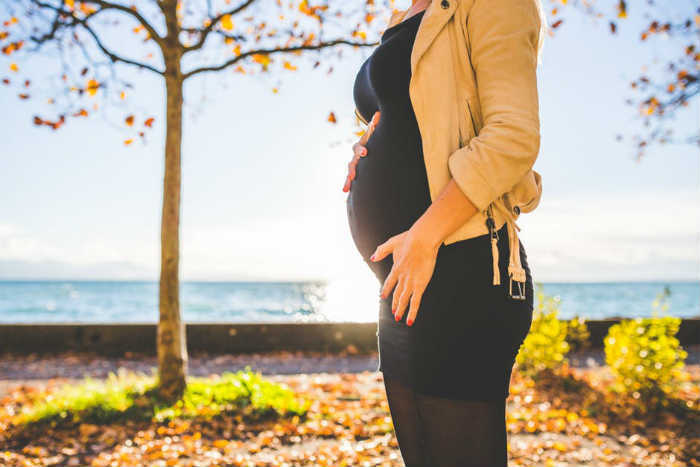 While it might not be something you’ve spent much time thinking about before, when you find out you’re having a baby it suddenly becomes a top priority. So when you’re preparing for a new baby, not only do you need to go out and buy all of the things they need, like baby baths, bottles or baby formulas, you also need to make sure your home is ready too. 1 – Is your current home family friendly? First things first. Is your current home actually suitable for a child? If you live in an apartment with lots of stairs to the entrance, for example, would it be practical (or safe) to get a pram up and down them each day? Or if it has a lift, what would you do if this were to break down? If lugging a pram up and down is not an easy option for you, many people find a baby sling a great alternative. You’ll also need to consider how many bedrooms you have. If this is your first child, you might be living in a one bedroom property. While the baby won’t need their own room right away, he or she will at some point, so it can be better to move early on and get everything set up and ready for their arrival. If you already have a child but they’re a little older, how would sharing a room affect them? Having a baby or young child waking up through the night for the first few years is likely to impact their sleep, so sharing might not be an option. Another thing to think about is the area you live in. If you’re on a noisy street, there’s a lot of crime or there aren’t good local amenities nearby (parks, shops, schools) then moving somewhere new could be your best bet. Moving when you’re pregnant can seem like a big task, but better to do it early on and have it out of the way. That way you can get settled in your new home and can live happily in the new place during your baby’s childhood. If you’re happy with your current home though, you might want to consider some upgrades. Again if you have steps up to your door, a temporary ramp could help with getting a pram in and out. Or how about installing an extra bathroom? This will not only add value to your property if you own it, it will also be useful for your growing family. Similarly, a conservatory, loft conversion or brick extension could all add extra space and make your home more suitable for a growing family, without having to actually move. When you’re at home away from the traffic and airborne chemicals, it’s easy to assume that the air you’re breathing is safe and clean. However indoor air pollution is an invisible, yet very real problem. Gas stoves and wood burners, household chemicals such as nail varnish and hairspray and byproducts from pests and dust mites can all contribute to the toxic overload. Whilst our bodies are designed to naturally detoxify, the sheer level of toxins and chemicals in today’s society has increased. This can have a serious impact on your health, plus it can be particularly problematic for anyone more vulnerable, such as a newborn baby. Deep clean carpets (ideally with non toxic cleaning materials), to help reduce nasties such as pollution from outdoors, bacteria from shoes and dead insects (the average carpet can even spread diseases like salmonella and ecoli). It’s easy to think that when you’ve given your carpets a good vacuum that they’re pretty clean, but it’s not always the case. Use an extractor hood on your oven and an extractor fan in your bathroom to help remove smoke and excess moisture in the air (which can lead to the development of black mould). You could even go a step further and purchase an air purifier too. These filter out all kinds of nasties in the air, and while it’s important to keep your home clean and remove the sources of any indoor air pollution, this is a good backup plan. It ensures that the air quality your family is breathing in is as safe and clean as it can possibly be. The first thing to consider is baby’s furniture. Since they will be in their crib a lot of the time this is a good place to start. The general consensus is that you should buy a new crib when you have a baby. It used to be commonplace for cribs to be passed down the generations; however as safety standards improve and regulations change, when you buy new you know you’re getting the most up to date and safest model out there. If you buy your nursery furniture collection new from a store specialising in baby furniture, you’ll get lots of variety too, so it’ll be easy to get your baby’s room looking just how you want it. Another serious issue with baby safety is choking hazards. Within a few months of life, babies will be reaching out and grabbing things and one particular thing to be aware of is nappy bags. Tragic incidents have happened in the past where babies have grabbed nappy bags that have been close to their crib and choked on them. It might not be something you have to think about right away, but it’s good practice to always keep these things out of reach. A bit later on when your baby is more mobile, window safety will become a top priority. Thousands of children fall from windows each year, so avoid putting anything close to windows that toddlers or young children can climb up on. It’s also worth keeping windows locked with a key, especially in childrens’ bedrooms. You might even want to consider replacing your windows for child safe models. If you’re looking to upgrade anyway then new windows can also save you money by not losing as much heat in winter. These kinds of windows could even include a large bottom window that doesn’t open at all, with smaller top windows that you can safely open just a few inches. This allows you go get air into the room without a child being able to climb out. Another safety concern with kids are medicines and chemicals. Again, kids are crawling around and mobile before you know it. So instead of waiting until they get to this stage, get into the habit now of putting these things in a safe place. High up shelves or locked cupboards tend to be good spots for things like medicines or cleaning products containing chemicals. Having some outside space to play in can be really beneficial for children. Again, while it might be a year or so until your baby will be able to enjoy their outdoor surroundings, it’s something you could start early on – especially if it’s a big job. Consider filling in any ponds or fencing them off to ensure your child’s safety. Lay down some turf, a hardwearing grass seed blend will serve you and your family well over the years. It’s a soft place where they can play, roll around and enjoy the warm weather. Consider adding features like a sand pit, a baby swing, or slide too. If you want to add pretty flowers and plants to your garden, having them in hanging baskets or raised beds can be a good idea. This stops them from getting pulled out and trampled by an energetic toddler a little later on! Generally getting your outside space in good order will make it family friendly and give you the opportunity to make memories together when the weather is nice. There’s so much to think about during pregnancy. As well as buying all kinds of essentials, you have to emotionally prepare yourself for becoming a mother or a father. Your career and work schedule will change, your priorities will change and your friendships and relationships will probably change too. However having a baby and becoming a parent is one of the best things in the world; babies give you a completely new lease of life and everything really does change for the better. 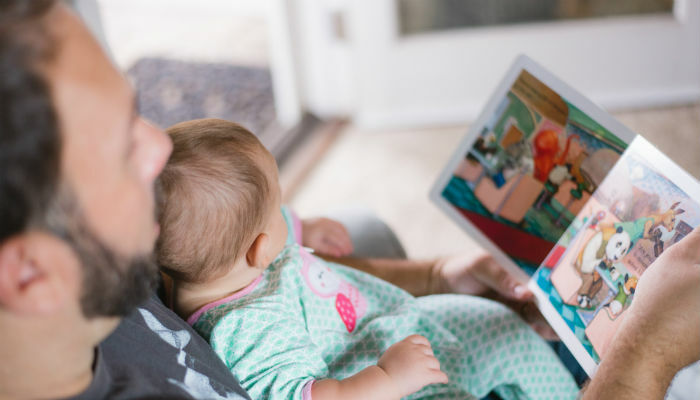 So preparing your home for baby is something you can do right now – whilst you’ve still got a bit of spare time on your hands and before the fun really starts!